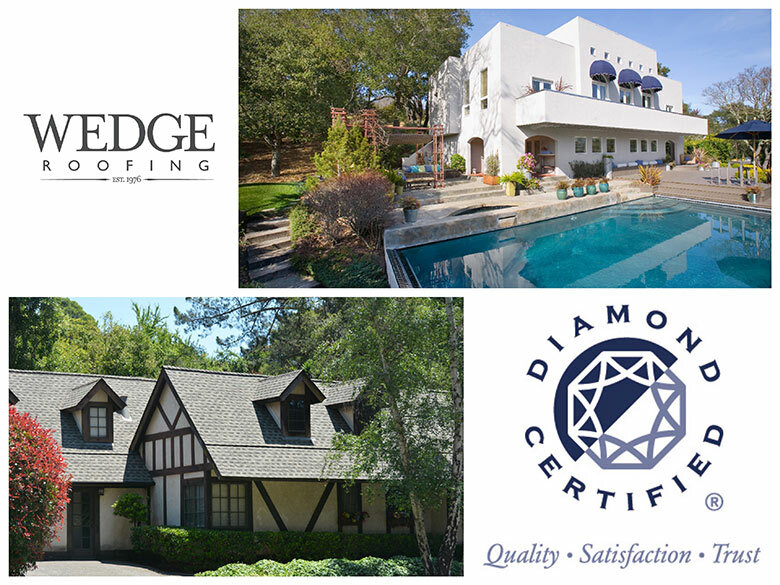 Wedge Roofing, a Marin, Sonoma, San Francisco and Napa roofing contractor, has earned the prestigious Diamond Certified® award after being rated highest in quality in a client satisfaction rating performed by American Ratings Corporation. The Diamond Certified award is presented only to roofing contractors and other local service companies that rate “highest in quality” in a detailed customer satisfaction study of their customers served during the previous four-year period. Each qualifying company must also pass a license, insurance, and complaint status, legal and credit rating. To maintain Diamond Certification, American Ratings Corporation conducts ongoing customer satisfaction surveys and checks credentials on a regular basis. "Because of the high client satisfaction standards required," said Jim Stein, CEO of American Ratings Council, "most roofing contractors can't qualify as a Diamond Certified company." A client satisfaction survey score of greater than 90 on a 100 scale is required to earn Diamond Certification. In order to earn Diamond Certified, a local service company must apply to be rated by American Ratings Corporation (ARC) and pass each step of its twelve-step rating and certification process. ARC pulls a random sample of past clients from the applicant company’s files and surveys typically 100 clients by telephone. Not only do the clients rate the applicant company on a 1 to 10 scale for quality, but they also, indicate their willingness to return or refer other consumers to the company.